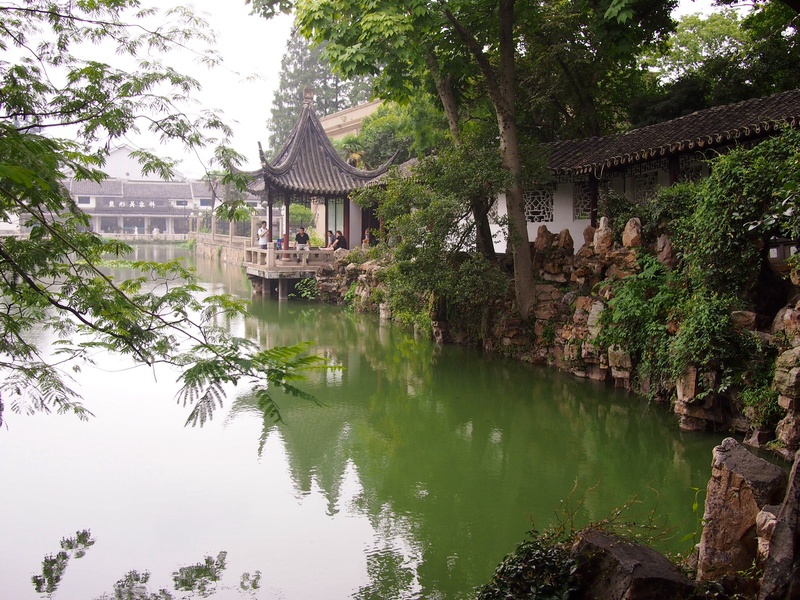 Suzhou is situated on the banks of the mighty Yangtze River and is a city of canals. 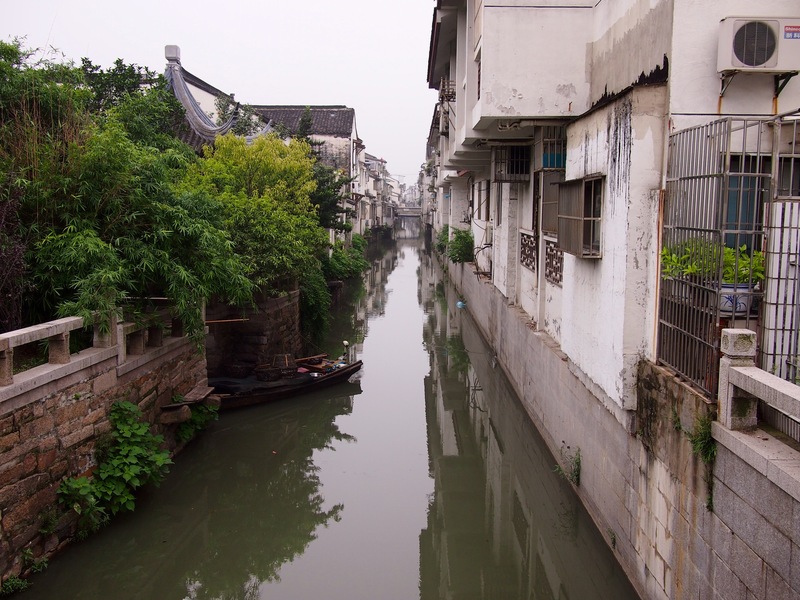 Also dubbed the ‘Venice of the East’ although we’ve travelled through several alternate Venices by now (St Petersburg, Bangkok, …) and none of them are even close to having the same atmosphere as the real thing. Suzhou is famous for its classical Chinese gardens, nine of which have been inscribed on the UNESCO World Heritage list. 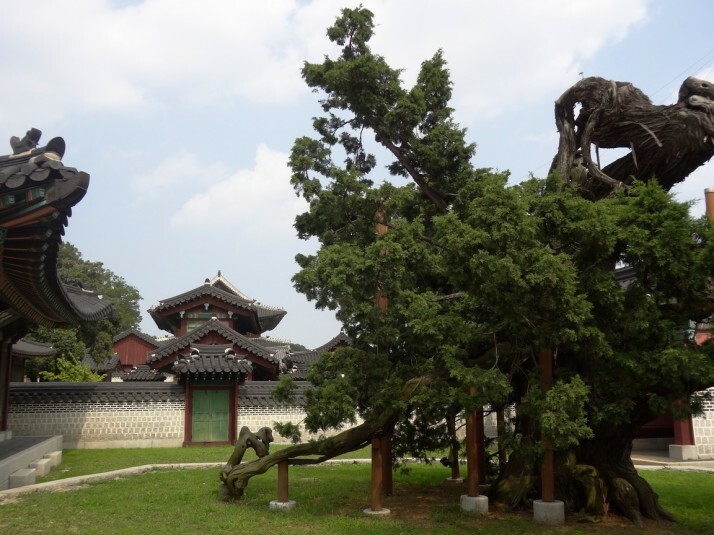 Unlike the imperial parks of the Forbidden City and Summer Palace in Beijing, these were private gardens, built by wealthy men and intellectuals and designed to recreate natural landscapes in miniature. 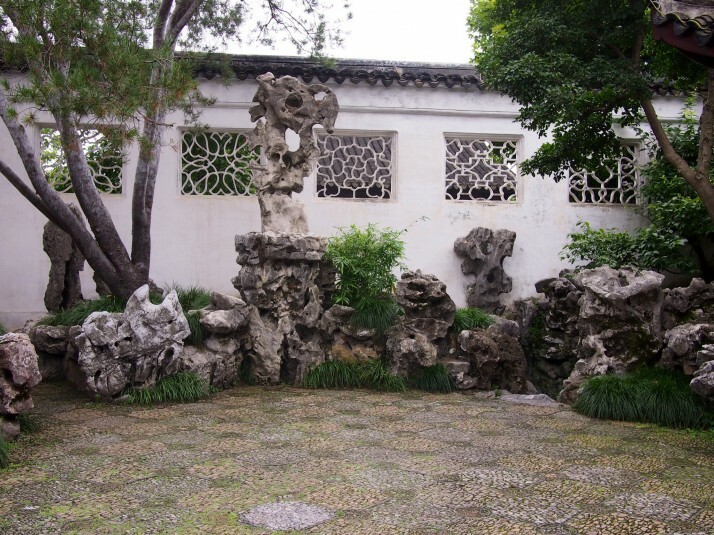 After Wang died, his eldest son lost the garden to pay gambling debts and it was split and changed hands several times in the following centuries before being reconsolidated by the government in 1949. At the far end of the garden is a space given over to hundreds of bonsai trees. 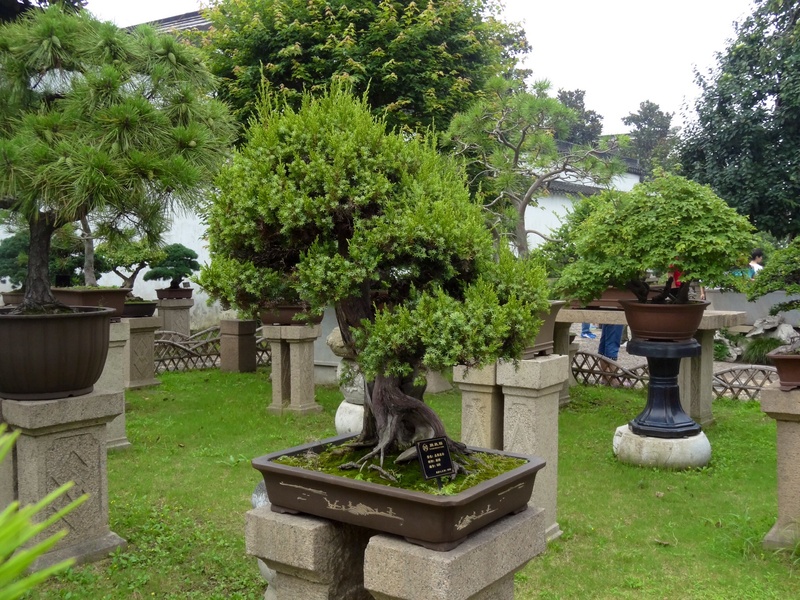 This section wasn’t quite as packed as the other areas of the garden and we enjoyed seeing the variety of different trees which had been miniaturised, and some of them had some forming wires in place to shape their branches. Having learnt our lesson from the day before we were determined to get to the Master-of-Nets Garden as early as we could to minimise the crowds. 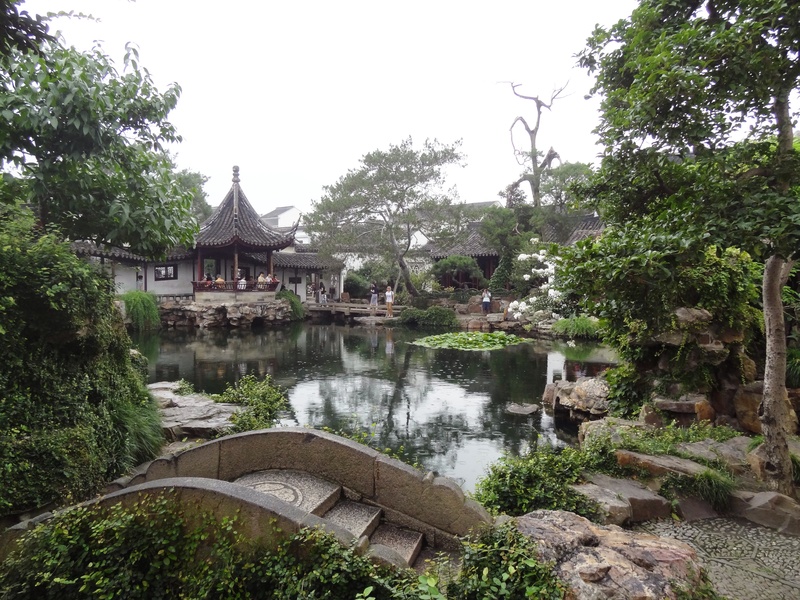 The garden opened at 7.30am but with a one hour walk from our hotel the best we could manage was 8am. It paid off, we weren’t the only ones there but it was a much nicer and more enjoyable experience. 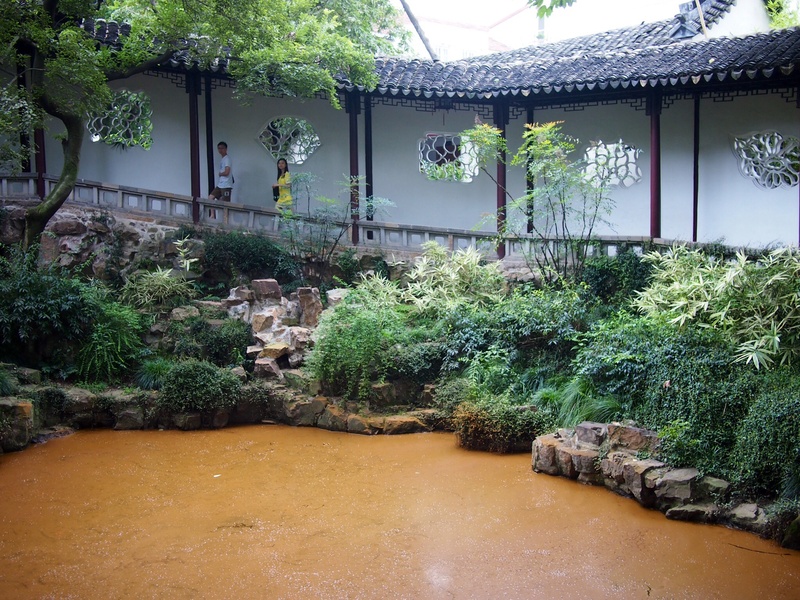 In the centre of the garden is a pond surrounded by the living quarters of the former residence which are linked by courtyards and covered walkways. 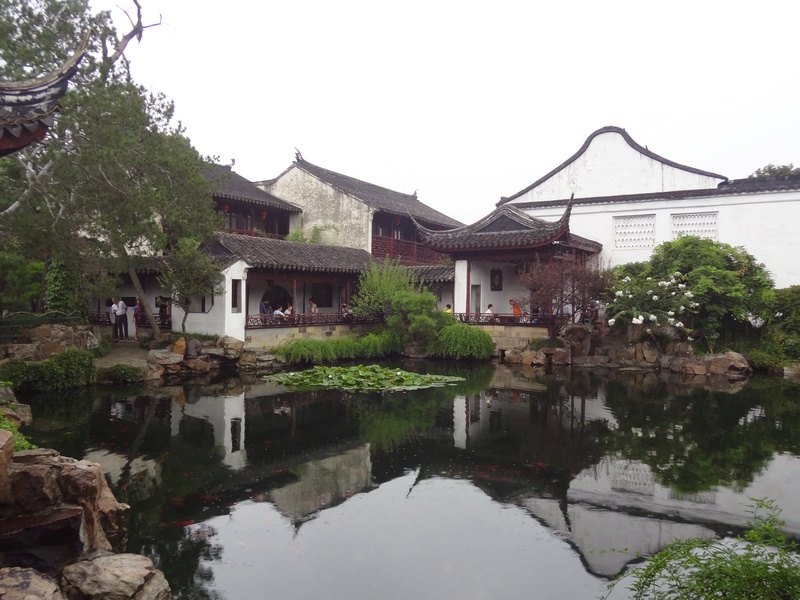 For a city with some major tourist attractions, Suzhou is remarkably lacking in signage (in either Chinese or English). 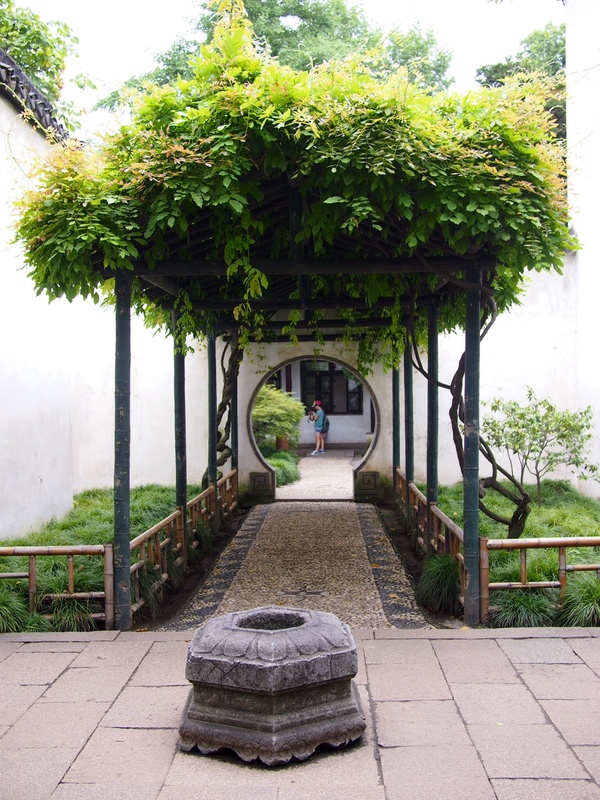 We stumbled across the entrance to Canglang Pavilion when we got lost on our way to the Master-of-Nets Garden and, as it was close by, we returned on our way back to the hotel. 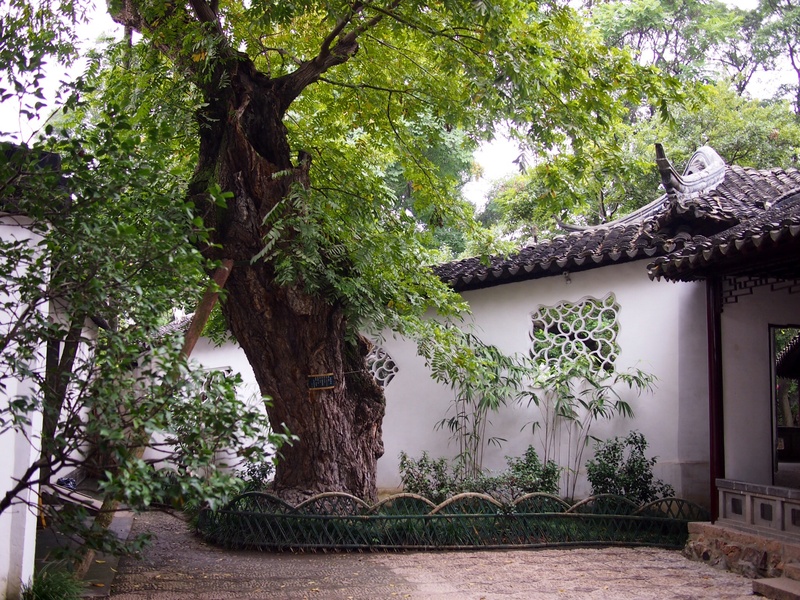 It is the oldest of the existing gardens in Suzhou dating from 1044. The name can be translated as Great Wave or Surging Wave Pavilion. 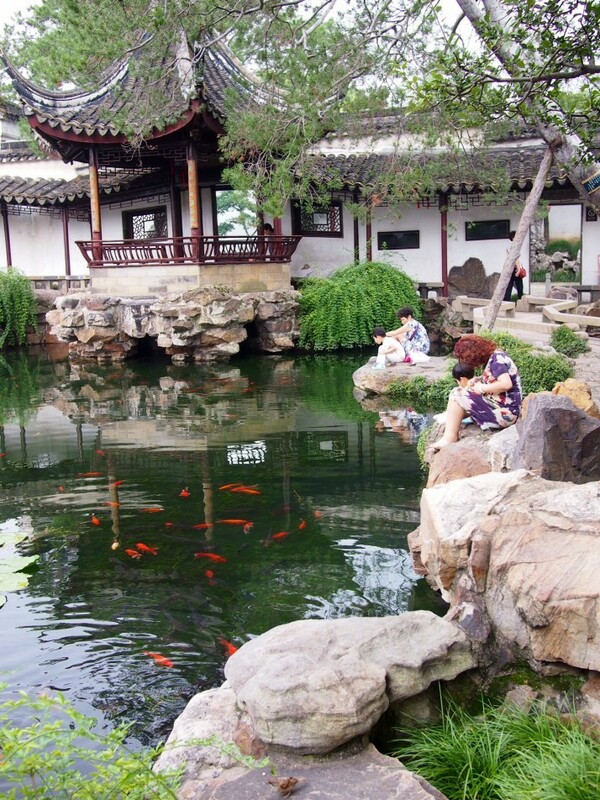 Our favourite of the gardens that we visited was the Master-of-Nets Garden for its clever layout and rock gardens. I’d really like to visit Suzhou again in other seasons, I think the gardens would feel quite different and that the most memorable views would be transformed by a covering of snow or brightly coloured autumn leaves. 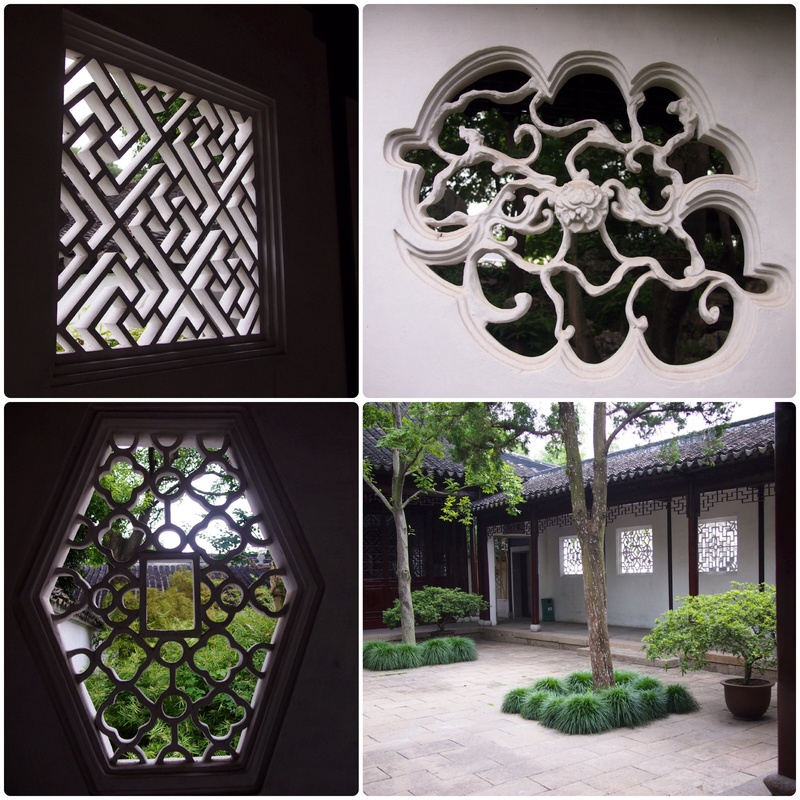 This entry was posted in Places and tagged China, Garden, Suzhou on August 29, 2014 by Julie. From Seoul we flew into Shanghai, which makes China the first country we’ve visited twice on our two year trip. 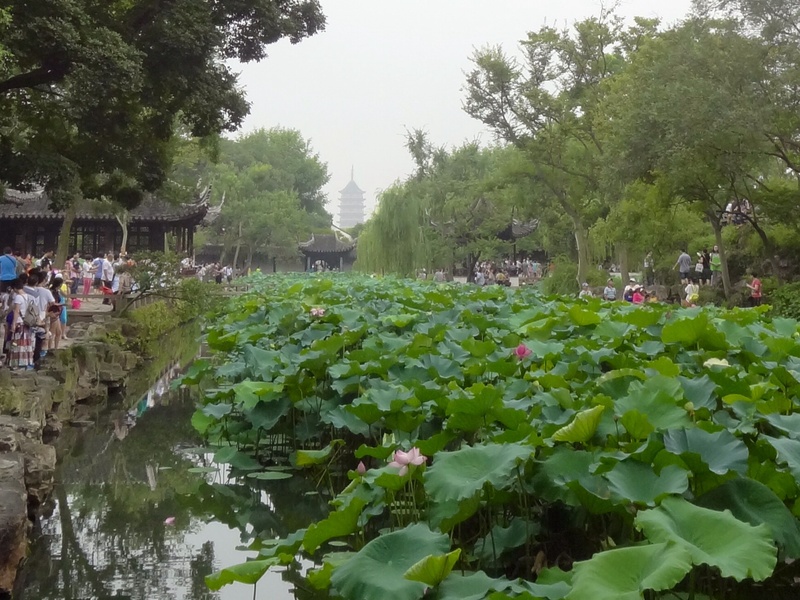 The first time we explored the north in and around Beijing, and we knew then that we’d be back to see more of this vast, welcoming country. 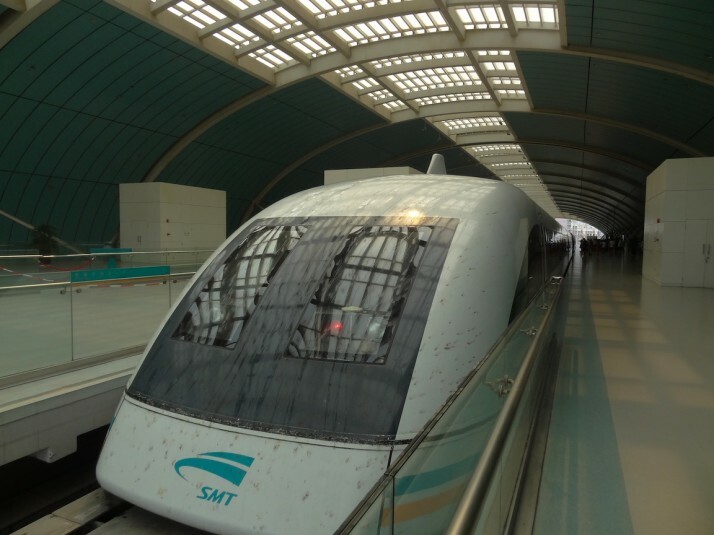 Arriving in style, the Shanghai Maglev! The Shanghai Maglev, one of only 3 Magnetic Levitation commercial train services in the world, also holds the record for the fastest train in the world – it’s levitation, Holmes! 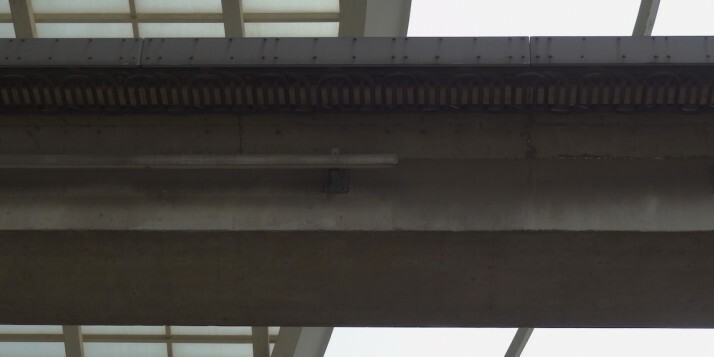 Shanghai has a magnetic levitation train line connecting the airport to the downtown financial district, and as soon as I found out I knew we had to try it! Unlike conventional trains that use wheels and tracks, maglev trains use powerful electromagnets to float, or levitate, over a rail. Because there are no moving parts or contact, there’s less noise and energy lost due to friction which means they can travel faster, but they do need more energy to run and they’re a lot more expensive to build. While the Maglev doesn’t run at its record-breaking speed of 501 km/h (311 mph), the journey took just over 8 minutes and hit a top speed of 301km/h – not quite as fast as the Shinkansen in Japan or the express trains in the rest of China, but it was noticeably smoother and quieter. 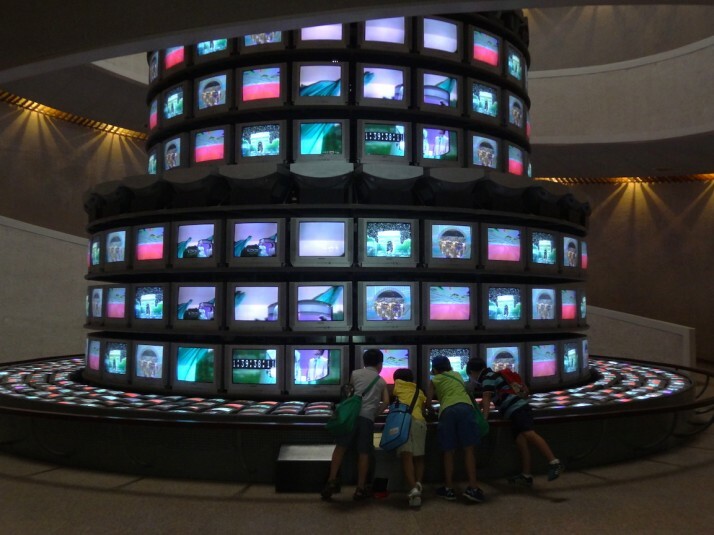 At ¥40 a ticket (about £4), it was easily worth the experience! 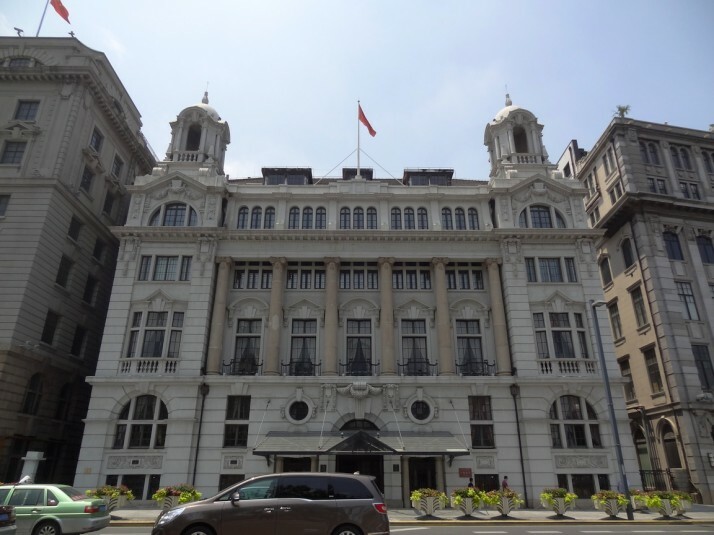 There’s a long history of European influence in Shanghai, the legacy of which can be seen in the riverfront architecture of The Bund. 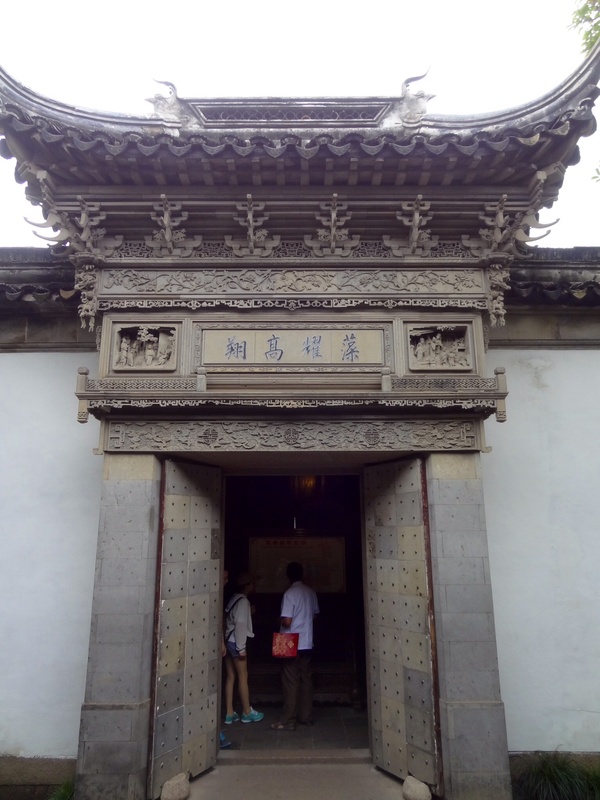 We found a number of self-guided walking tours that describe the various buildings and picked a day that turned out to be clear but very hot indeed! The Bund stretches for 1 mile from the Suzhou Creek in the north to Yan’an Road in the south. About ¾ of the way up, Nanjing Road goes inland to the west, and used to be the site of the British concession. 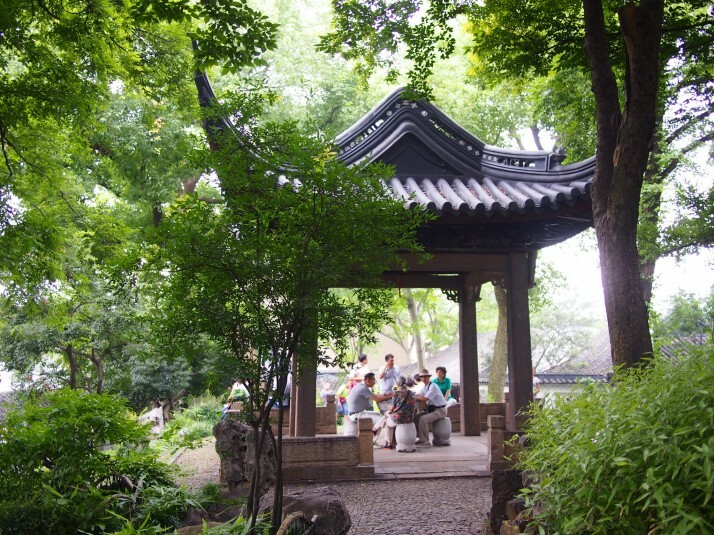 Sadly the concession buildings and settlement are no longer there, though we did stop in a nearby alleyway for a spot of lunch. 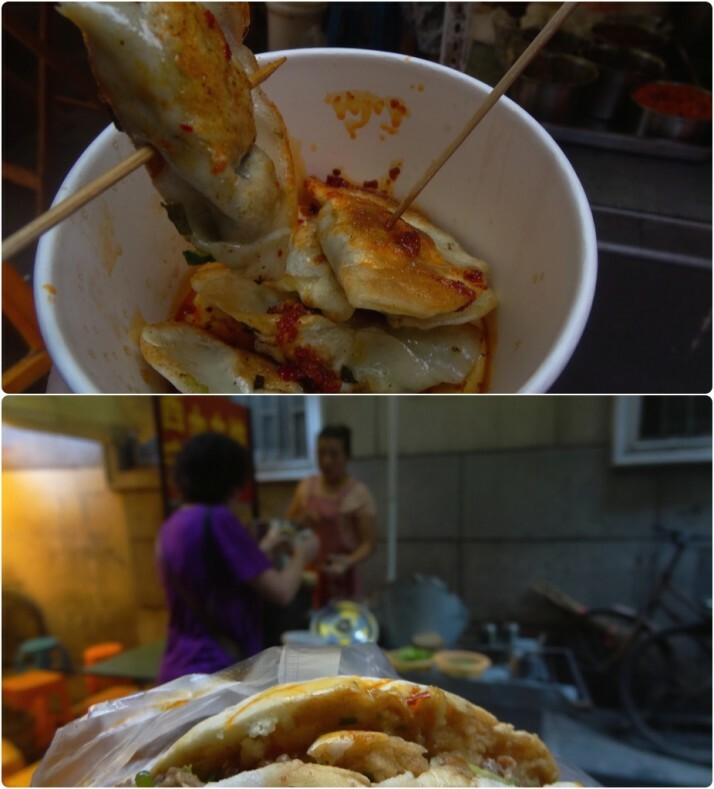 Our side-street lunch just off Nanjing Road – fried dumplings with a “little” bit of spicy sauce, and pork rolls which we’d missed after eating them every day in Datong! 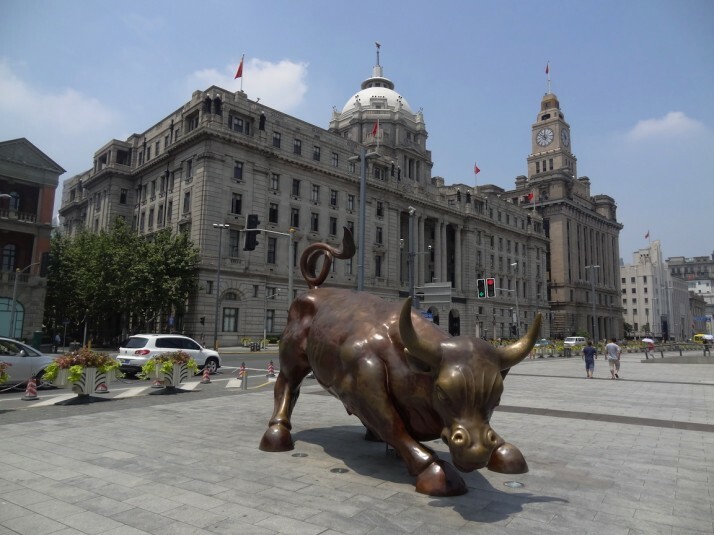 Somewhat ironically, the old financial institution buildings and the Bund Bull face the growing might of the Shanghai Financial District of Pudong just across the Huangpu river. 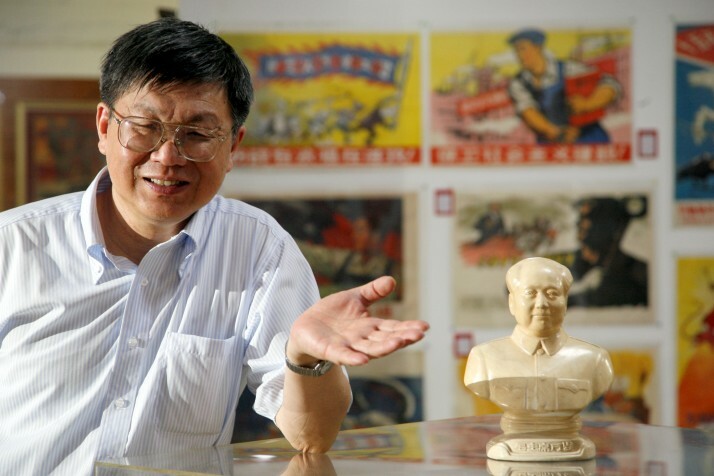 The enticingly named Propaganda Poster Art Center is the life-work of Yang Pei Ming, a private collector, housed in 4 adjoining basement apartments of an otherwise nondescript Chinese high-rise block. 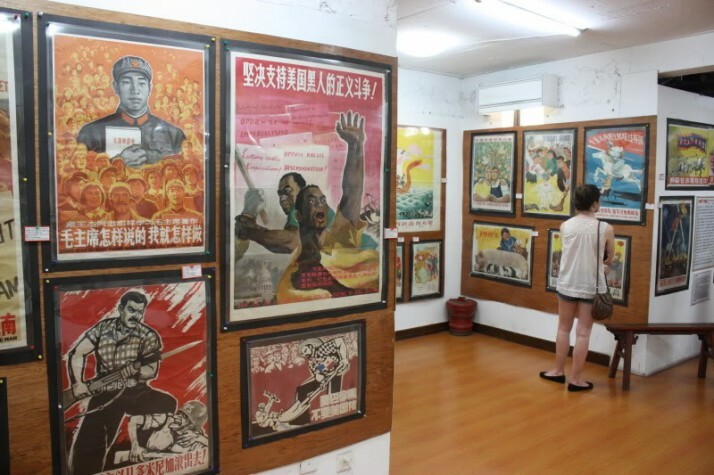 The mundaneness of the surroundings only heightens the feeling of discovery and clandestineness as we looked through nearly 100 years of Chinese public poster art from early 1900s, and through the rise of Chairman Mao. Understandably we weren’t allowed to take photos as the museum supports itself by selling prints and postcards of many of the works (as well as the small entrance fee), and although the overall order seemed a little disjointed in places, there were translations and explanations for most of the posters which set them in their historic context of Chinese and world events. 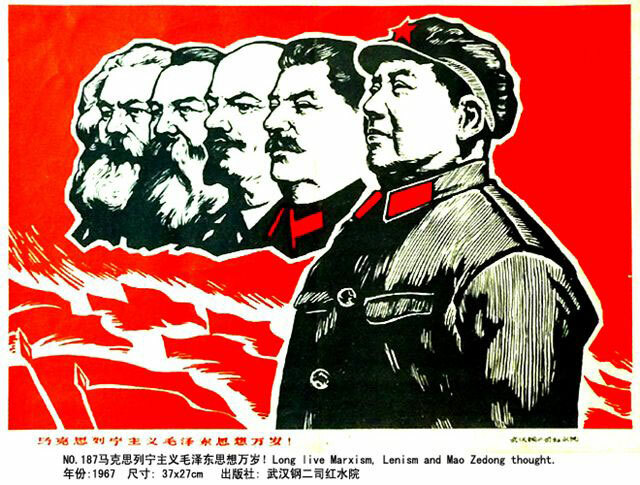 While most of the art was inward, enthusiastic Communist messaging, there were some examples that rally the East against the Western aggressors during the Second World War and the Vietnam War. 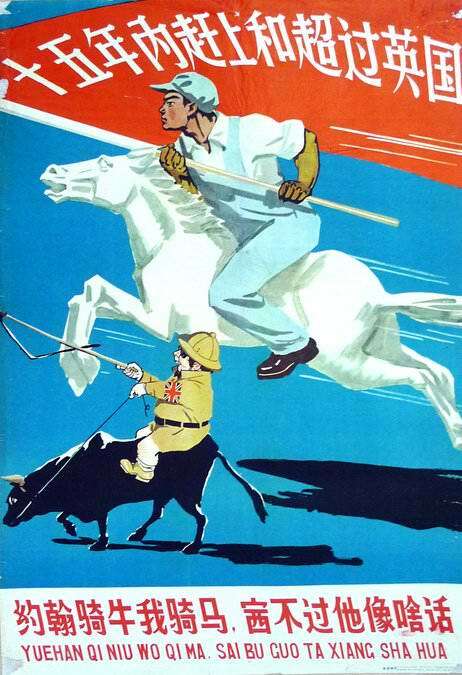 I love to see history from the other side to that which I have been taught, and this collection of poster art is fascinating for both its historical significance as for its artistic style and development. 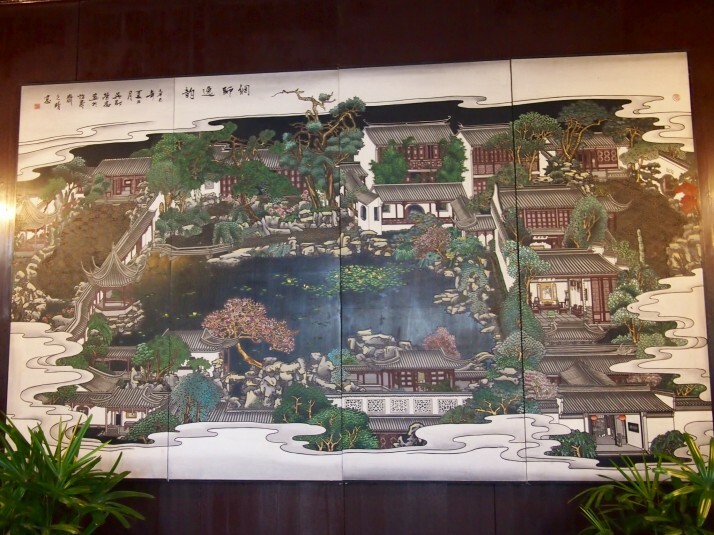 This entry was posted in Places and tagged China, Museum, Shanghai on August 26, 2014 by Andrew. 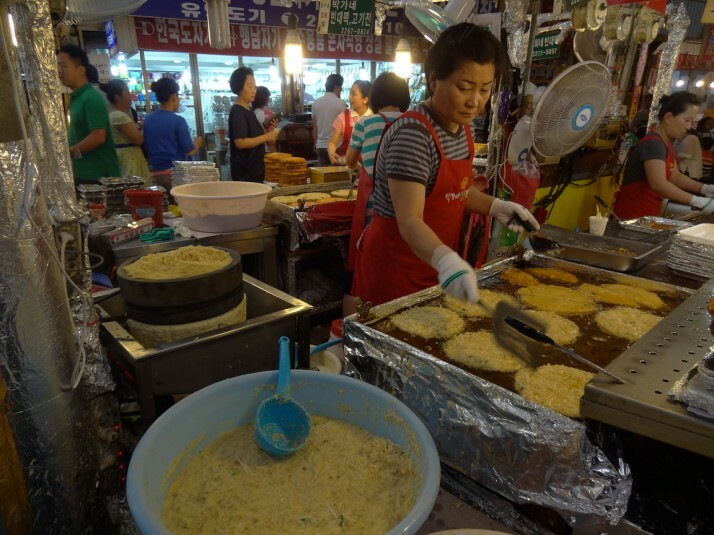 Before we arrived I wasn’t intending to do a summary of the food in Korea as I’ve done for Japan, Bangladesh, Thailand and the Baltics, but within days of arriving I knew that I wanted to write about it. If anything, I think that I’ve enjoyed Korean food even more than the food in Japan, although I think Andrew would disagree with me. It is full of strong and deeply satisfying flavours with lots of soups and stews, just the kind of food that I like to cook. Rather than do a full summary of what the food is like in Korea I thought that for a change I would just write about the stand out dishes. 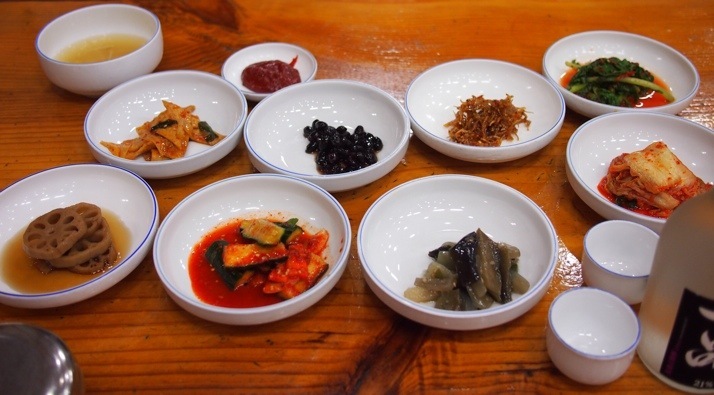 I love that as soon as you arrive in a Korean restaurant, sometimes before you’ve even picked up a menu, several small dishes of mostly pickled vegetables are put in the middle of the table. I’d say we got an average of 6 dishes with each meal, there’s no cover charge for them and they’re usually refillable if you ask nicely. 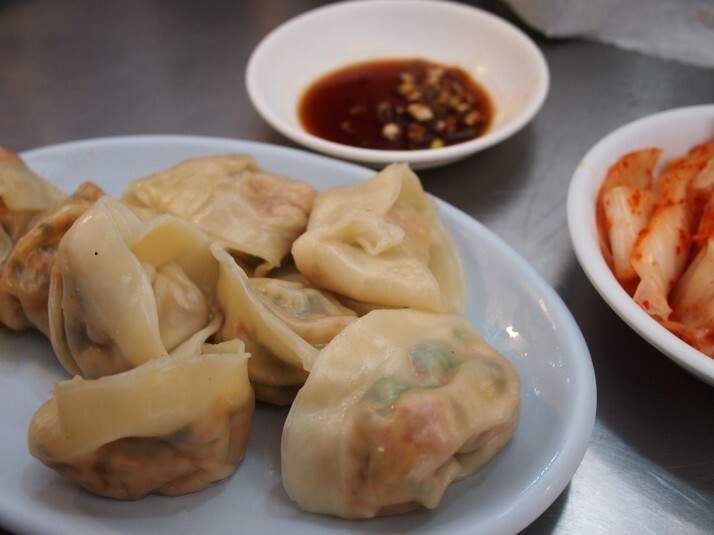 These were one of the first things we tried after arriving in Busan and for the remainder of our time in the city they were an almost daily treat. 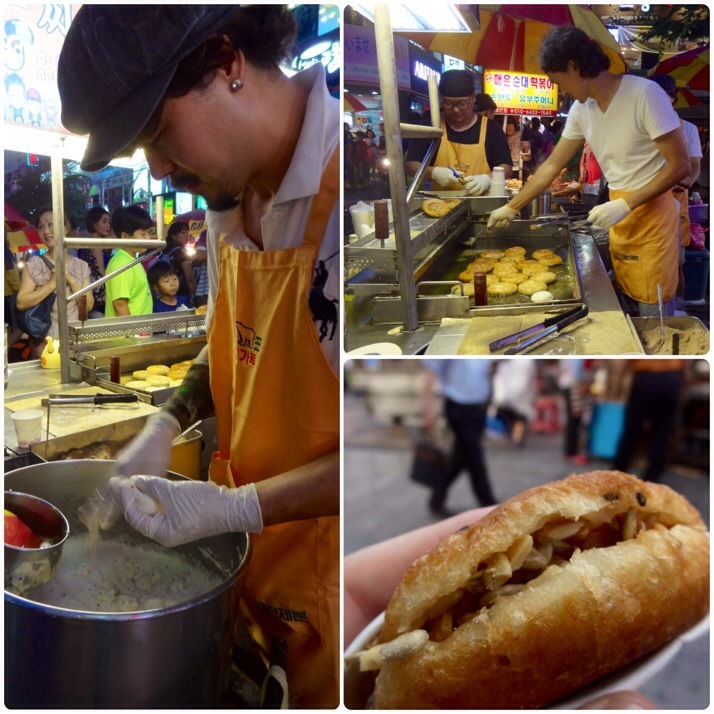 A hotteok is a small round bun which has had a spoonful of brown sugar secreted in the dough before being fried in butter on both sides. It is then snipped open halfway and filled with a mixture of toasted peanuts, sunflower, pumpkin and sesame seeds. 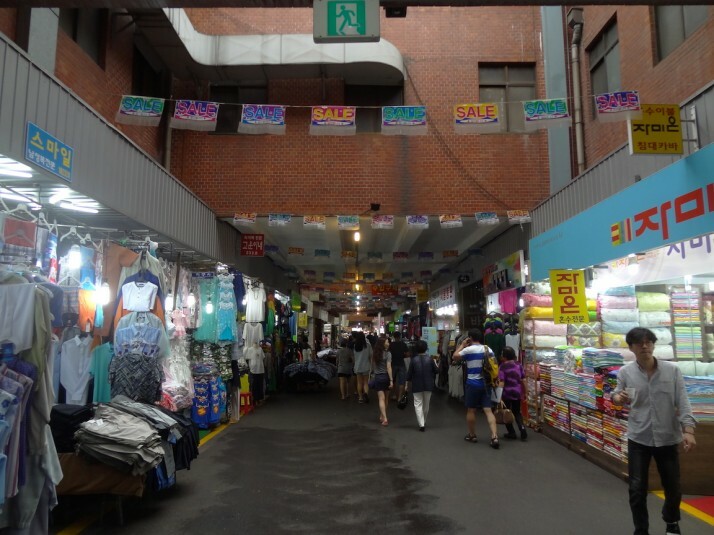 The stalls in the BIFF square were so busy they had queues, but the stallholders had a very efficient production line system and turnover was fast. Hotteok (clockwise from left): batter being filled with sugar and formed; on the griddle; piping hot and ready to devour – yum! How can you not love a food with a name like that?! 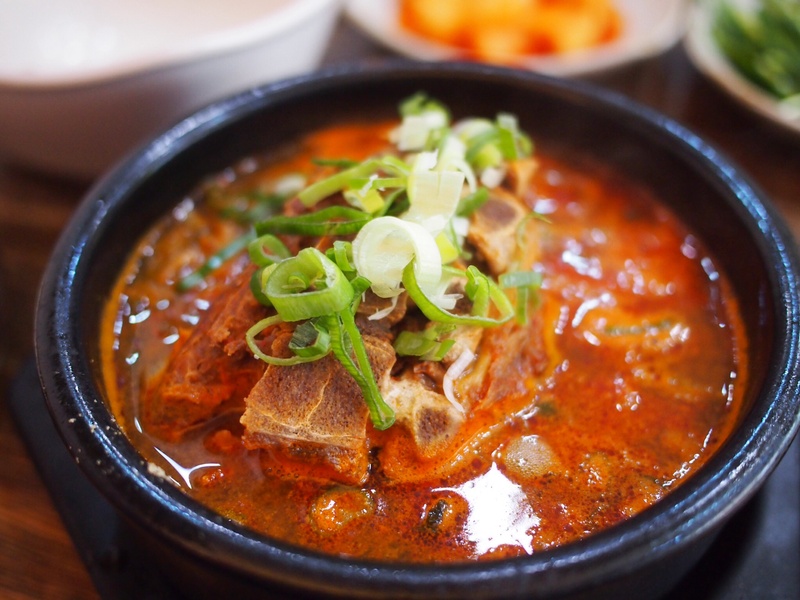 In Korean it is Haejangguk and it consists of a peppery beef broth with hunks of meat, greens and a side of rice. There are slight regional variations, one we had in Andong contained cubes of ox blood, and in Busan the meat was on the bone. The soup is rich and warming and I think it would cure just about any malaise, not just a hangover. Barbecue restaurants are very common in Korea and they’re a lot of fun. Every table has its own barbecue, sometimes gas powered or sometimes a dish of hot charcoal is brought from the fire pit to the table. Once you’ve ordered the meat, usually either beef or pork, it is served raw and you cook it yourself. We found the array of side dishes to be even more impressive than usual in the barbecue restaurants and unaccountably often included a bowl of raw garlic cloves. I’m not sure what you’re supposed to do with them, but I liked the smokiness of them once grilled, and eating lots of garlic is supposed to keep the mosquitoes off which is an added side benefit if it works! Gimbap is my new favourite packed lunch. It’s a sheet of seaweed covered with a layer of cooked rice and a line of fillings before being rolled and sliced. 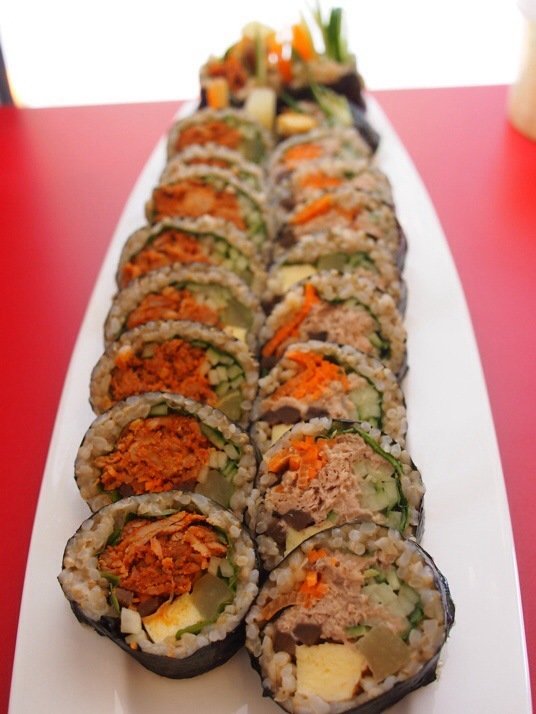 They’re like a fat version of a Japanese maki roll. Fillings typically include cucumber, pickled radish, carrot, and some protein, for example ham or tuna or omelette. I like the crunch of the vegetables with the flavour from the ‘meat’ and the fillingness of the rice. We’ve been plotting an English inspired version to make when we get home, the ‘Ploughman’s gimbap’ with cheddar cheese, ham, chutney and pickled onions is the front runner! I’ve got to confess that the English translation of this dish’s name doesn’t sound too appealing but it is really good. The Korean name is Sundubu Jjigae and it is a spicy stew containing dollops of tofu with a custardy consistency along with vegetables and meat or seafood. Just before serving, a raw egg is dropped into the bubbling pot – in one restaurant, the egg was served on the side for us to break into the stew ourselves! The stew is served with a bowl of rice, dried seaweed flakes and the usual array of pickled vegetable side dishes to mix together. 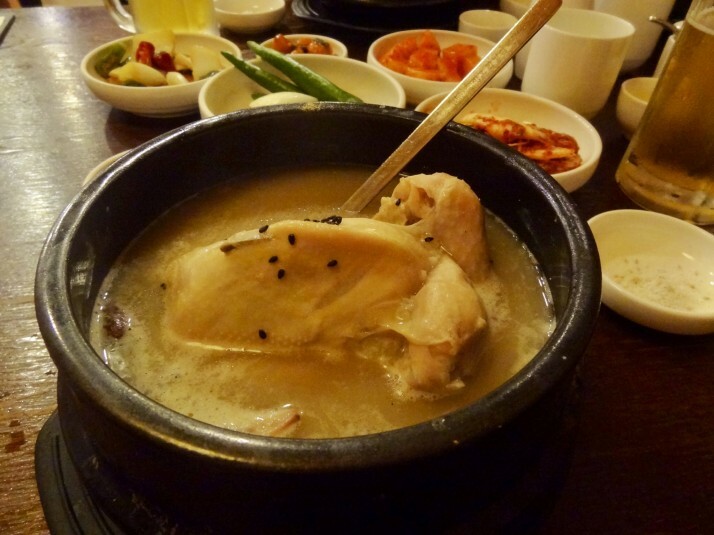 Whatever you do, don’t get it confused with soondae-gu which is a soup made from pig’s intestines, obviously we would never make such a rookie error…would we? 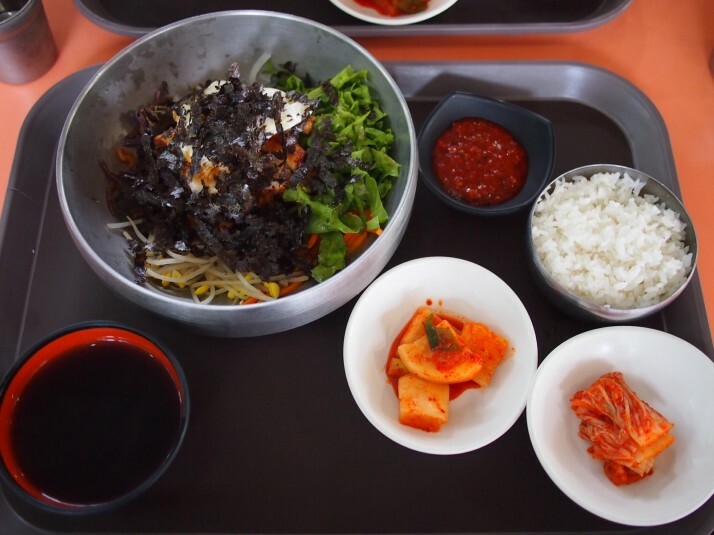 Bibimbap literally means “mixed rice” and a version of it appears on nearly every restaurant’s menu. 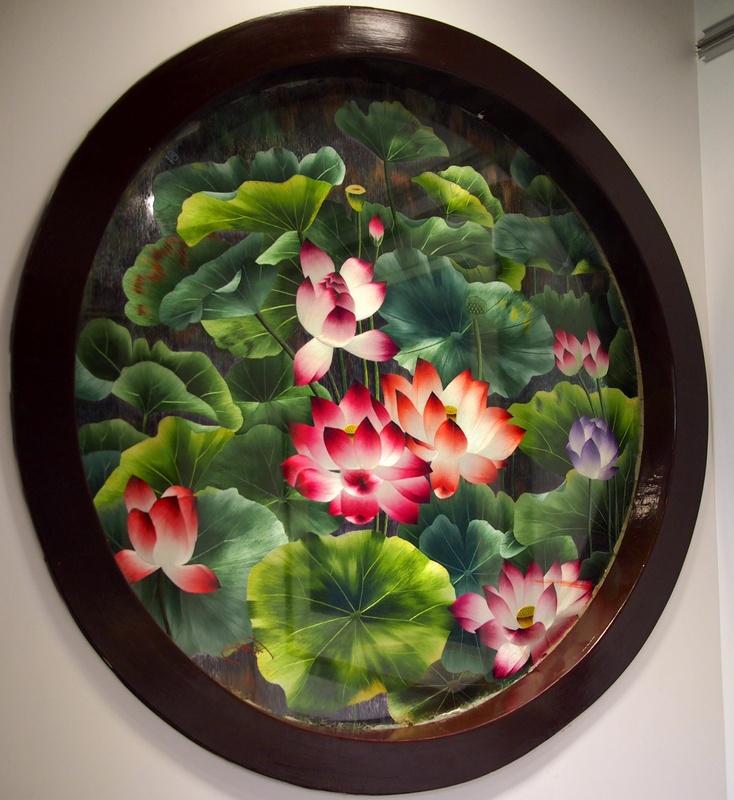 It consists of rice, vegetables, meat, chilli paste and sometimes a raw or fried egg which is then all mixed together. 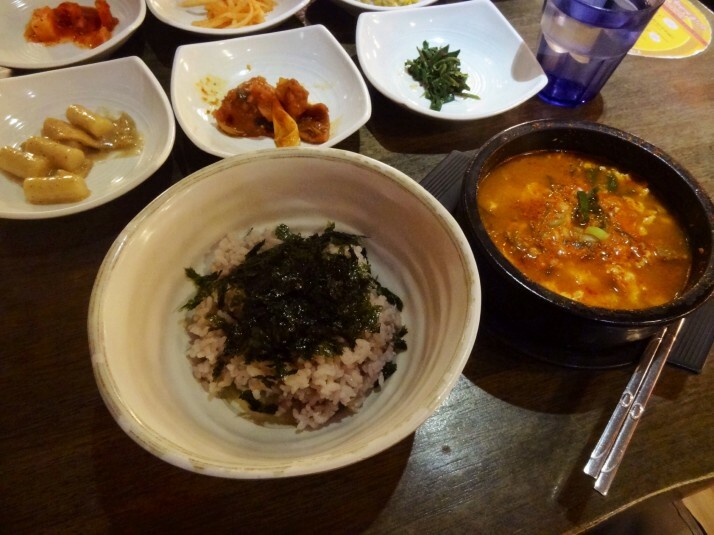 It was usually a pretty safe option to order when we weren’t sure what anything else was – its name is easy to spot amongst all the Korean due to the repeating characters 비빔밥. Chicken ginseng soup, or samgyetang, was something we heard about right at the start of our stay but it was just a couple of days before we left the country that we eventually got to try it. 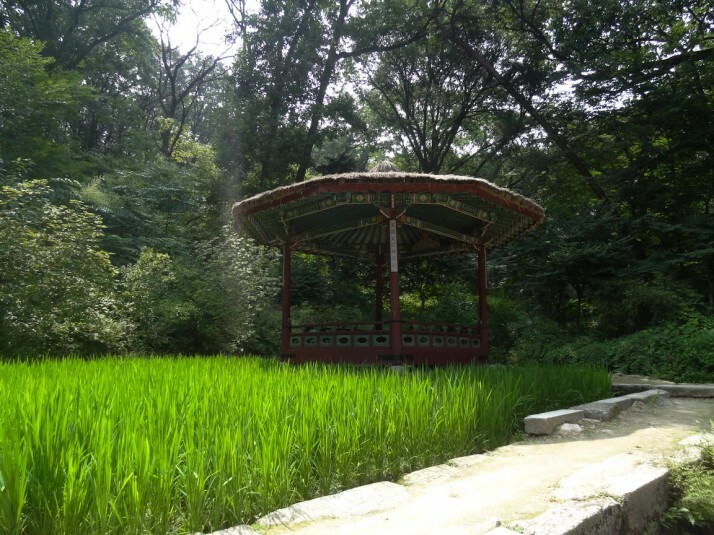 The flavour was reminiscent of a creamy chicken soup but very delicately flavoured with a variety of whole spices most notably ginseng. The chicken was very tender and stuffed with rice before being cooked so it was a filling dish as well as being a change from the highly spicy foods. 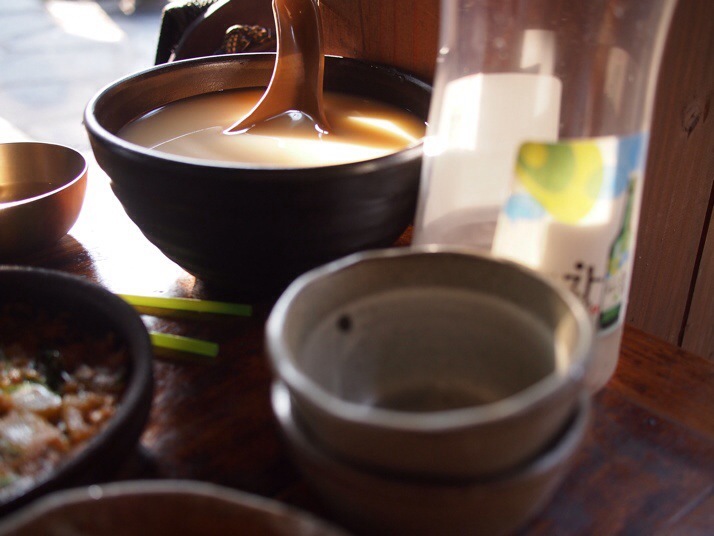 We tried this traditional drink in Gyeongju where it was described as ‘thick rice beer’. It’s cloudy and has a really nice smooth flavour. Served in a large bowl with a wooden ladle to dish up the individual portions into small bowls. 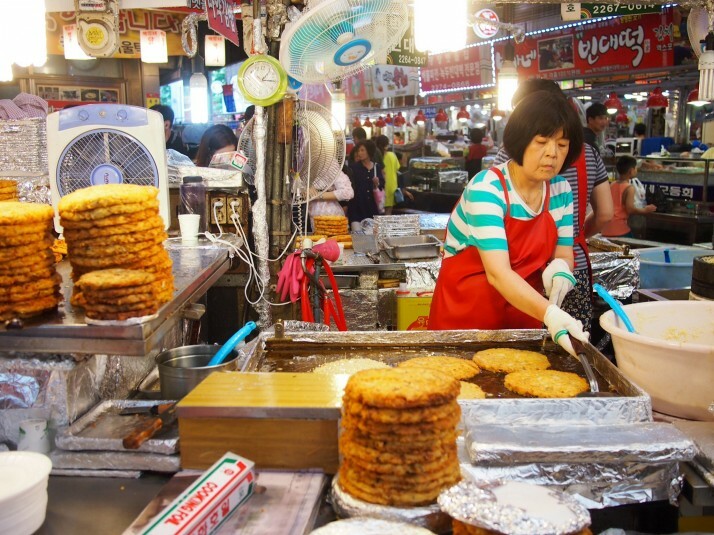 One of the most common street foods in Korea are hearty pancakes, more akin to a frittata than a crepe. 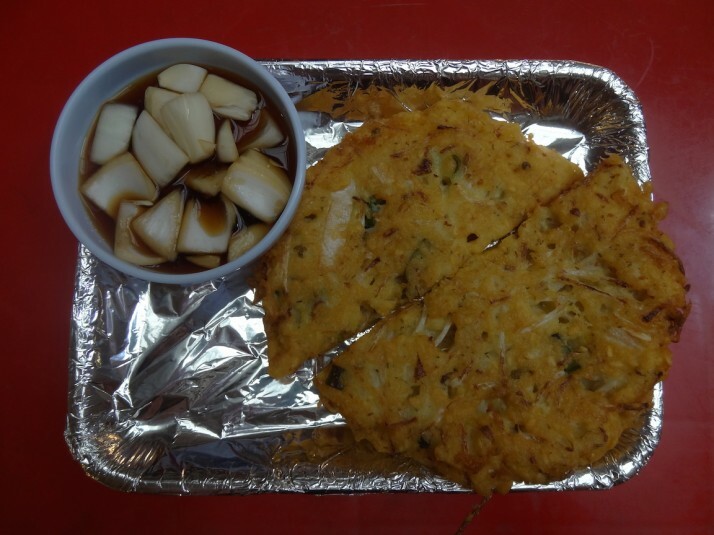 Various things can be mixed into the batter, kimchi and spring onion versions are popular, and we had a delicious mung bean pancake at Gwangjang Market in Seoul. 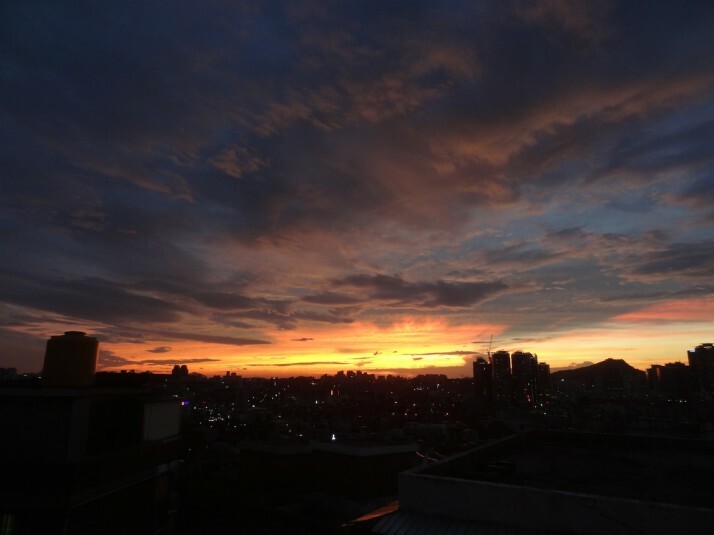 This entry was posted in Experiences and tagged Food, South Korea on August 15, 2014 by Julie. 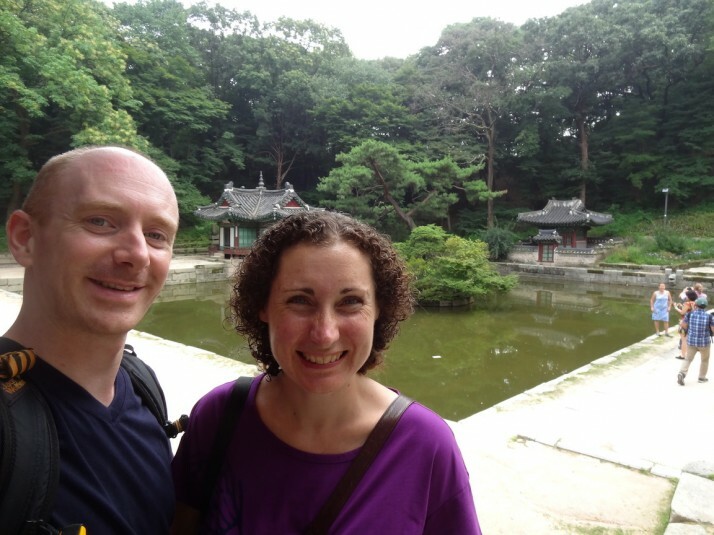 We spent a couple of weeks in South Korea’s capital city at the start of the rainy season. 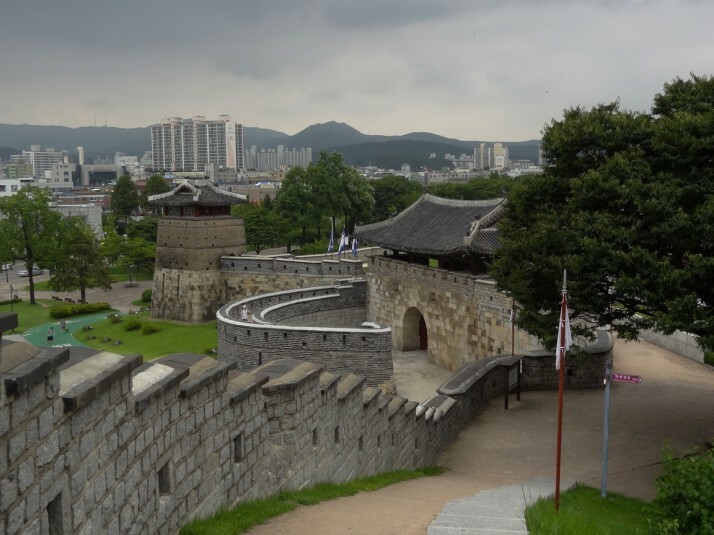 As well as the excellent DMZ tour with the USO, and learning how to make kimchi, here are some of the things we got up to in and around Seoul.. 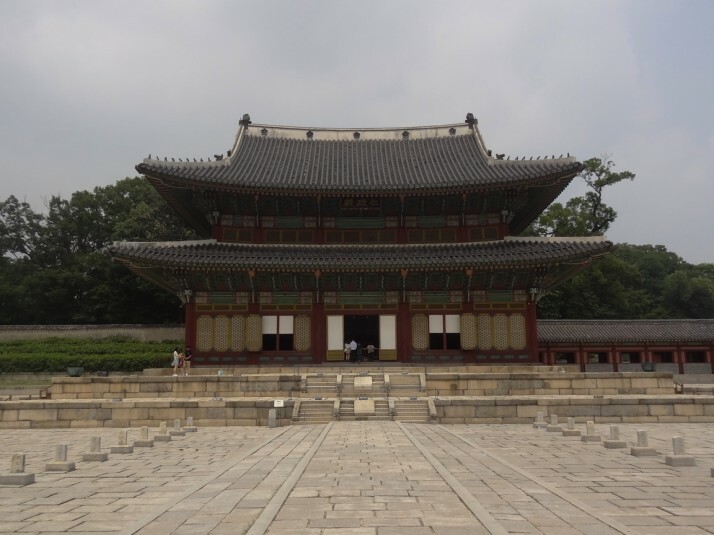 Completed in 1412, Changdeokgung is a UNESCO World Heritage Site and one of the “Five Grand Palaces” built by the kings of the Joseon Dynasty (1392–1897). 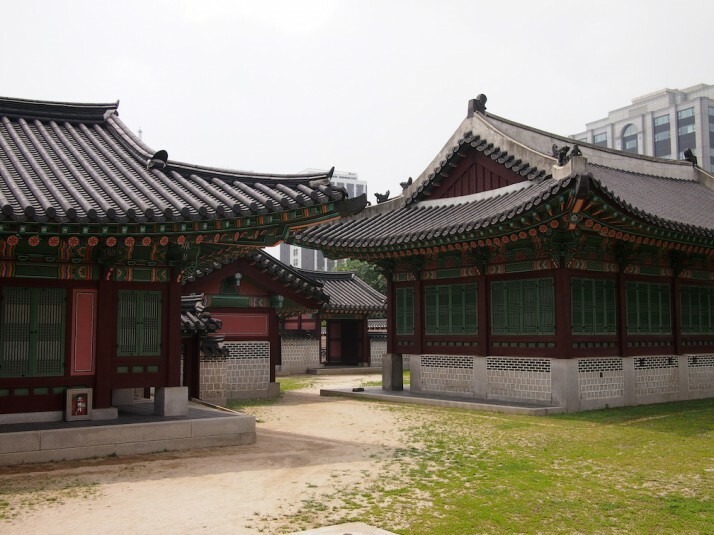 Although it has been destroyed many times by war and fire, nearly 30% of the buildings are original and the rest are either being restored or are completed. 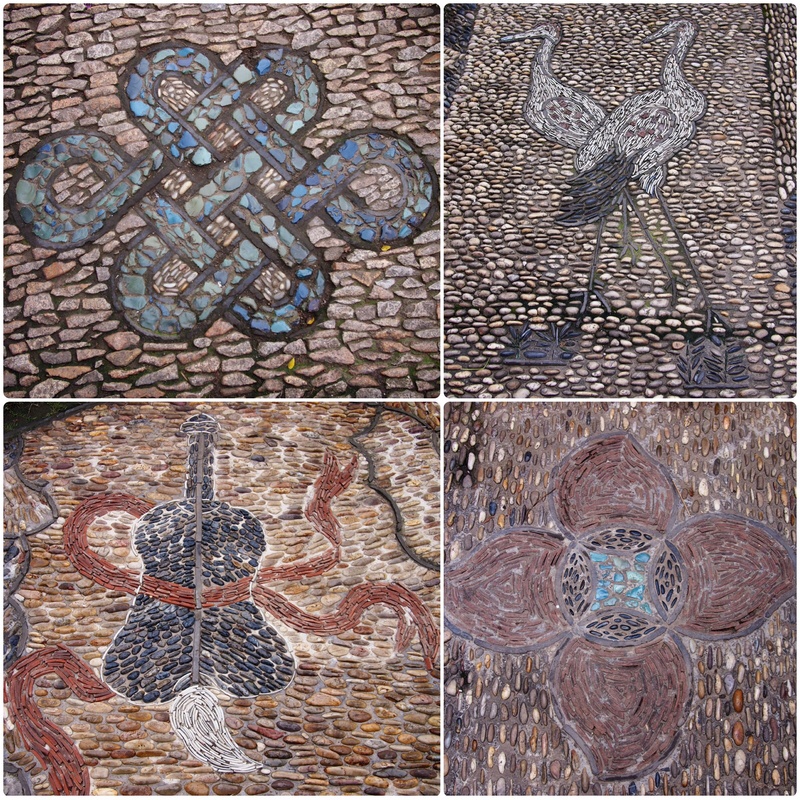 We started in the administrative quarter and were surprised by how many beautifully ornate buildings there were. 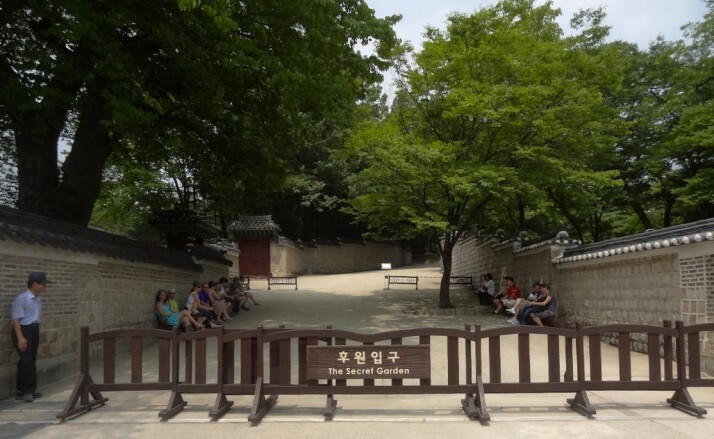 After making our way through the main gate and up to the mightily impressive Injeongjeon Hall, we had a quick look around the King and Queen’s residences and yet more administrative buildings before heading to Huwon, also known as the Secret Garden. Starting the guided tour of the Secret Garden. 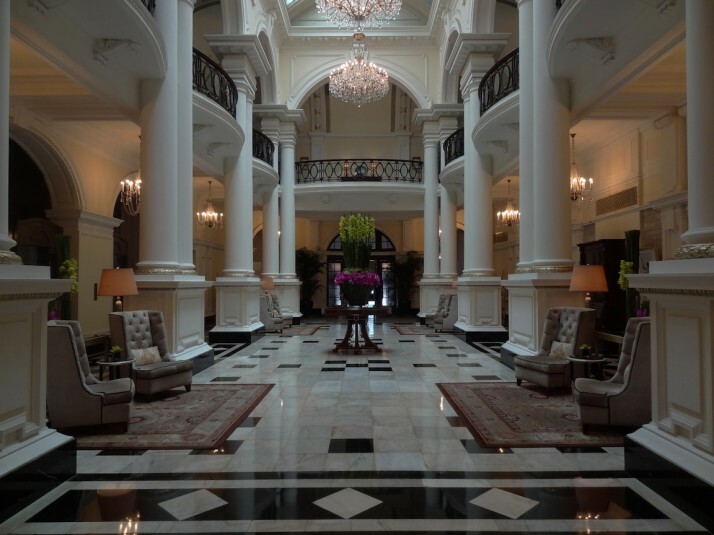 Tours are arranged by language, and the English ones are booked up a few days in advance – best to book online before you go! 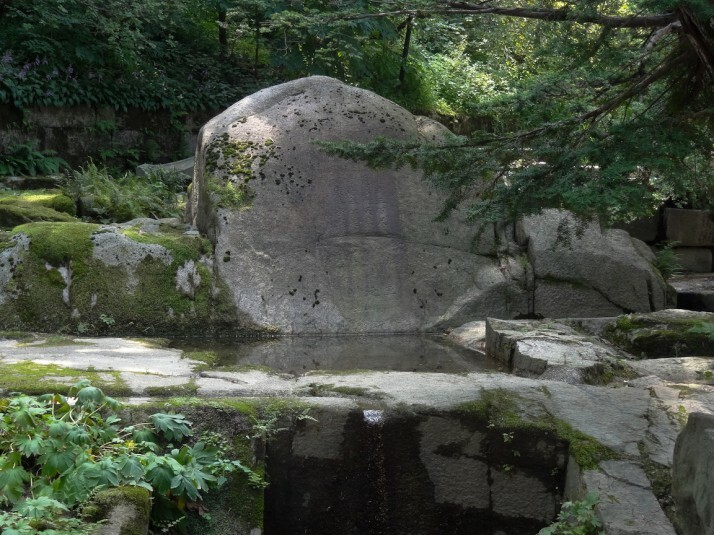 We’ve become accustomed to the Asian definition of “garden” being a meticulously manicured space, but in Korea, it seems that nature has more of a hand in the planning – of the ones we’ve visited at any rate. 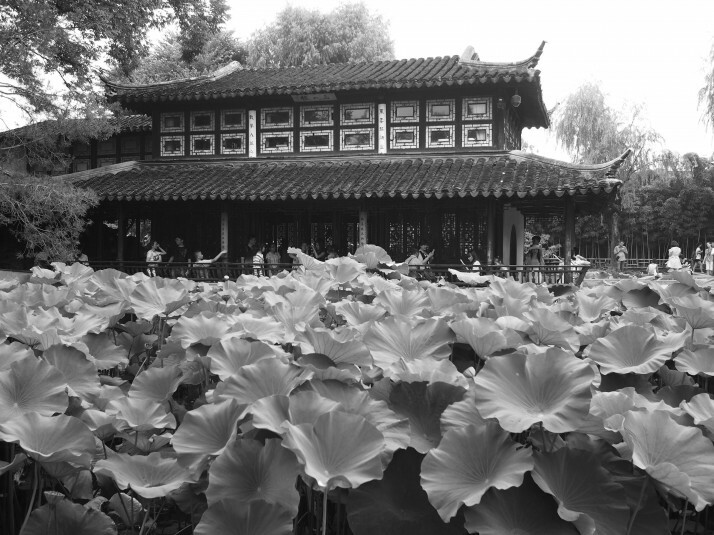 The Secret Garden is so-called because it was reserved for royalty and their guests, and, really, I’d call it a forest: firstly because it’s huge – almost twice the size of the palace grounds; and secondly, visitors would have ridden a horse or have been carried around it, stopping at pagodas to admire the small set pieces of scenery. This explains the scale and the lack of view for strollers. Access is by guided tour only, and our bubbly guide was very good, but there were a lot of people in the group and we found we had to be near the front as she would start the explanations as soon as she arrived at each point of interest. We missed a lot of the introductions, and we were by no means at the back! 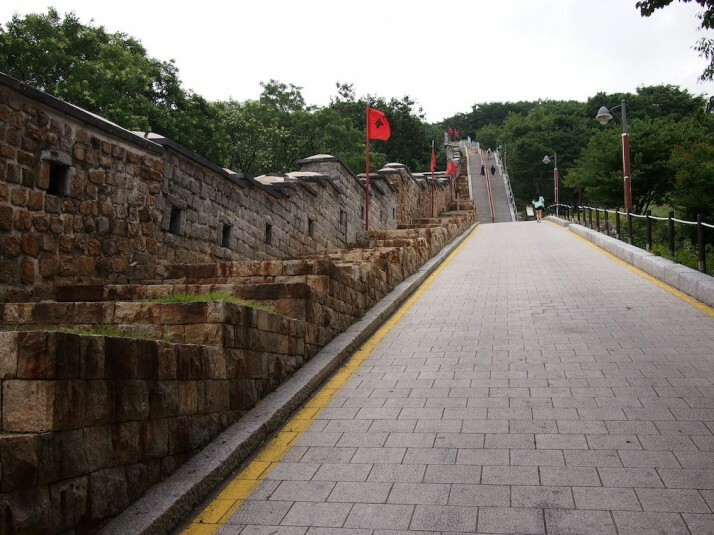 We’ve done quite a bit of hiking in Korea, and after the 13km of the Geumjeong Fortress hike we did in Busan, we figured the 5.7km of the Suwon Hwaseong Fortress south of Seoul would be a nice stroll in the park! 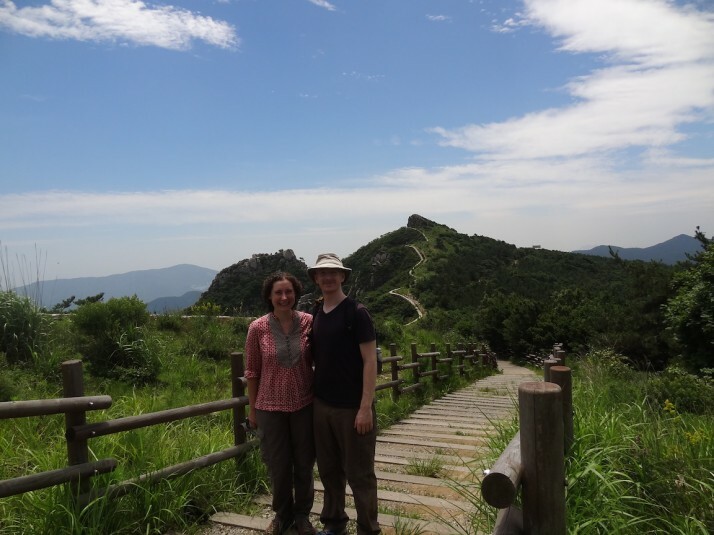 It was a lovely clear day, but it was hot work as we elected to go clockwise from the Paldalmun – the main south gate, which meant we had a steep climb followed by a gentler descent. 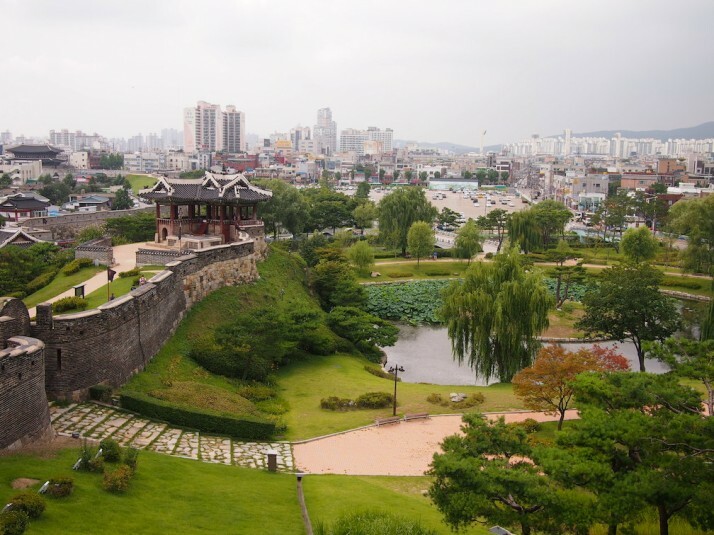 We took it slow and were rewarded with lovely views of the city and the old walls snaking around the centre. About two-thirds of the way round is a visitor centre where we stopped for some shade and a well-deserved ice-cream. 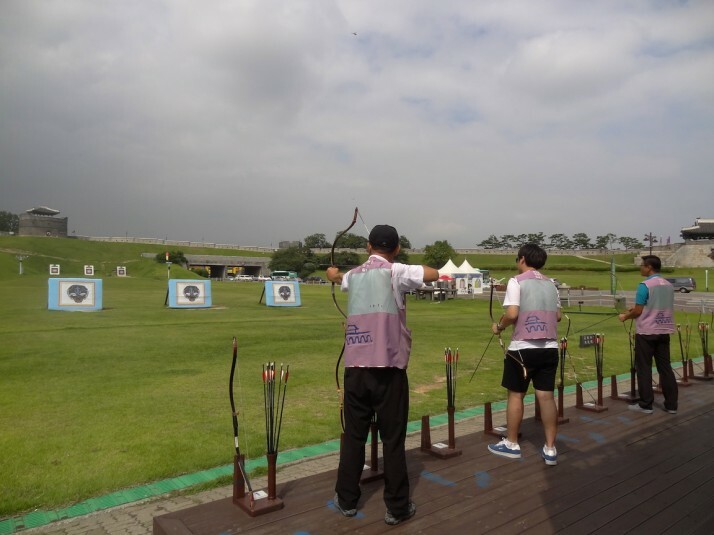 Here they offer basic archery tuition as the site was historically used by soldiers for combat training. 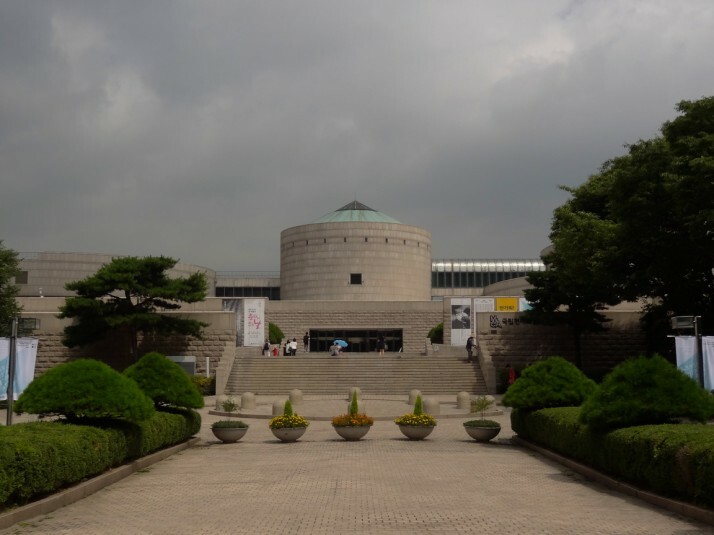 Set in the Grand Park, which also contains a zoo and a theme park called Seoul Land, the National Museum of Modern and Contemporary Art is a delight. 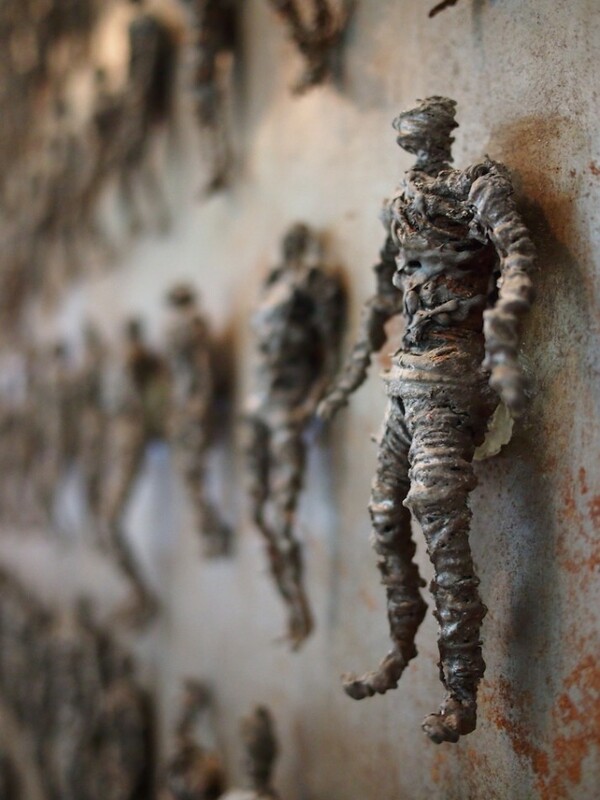 Not only are the permanent collections free (bonus! ), but it’s well laid out, had a fascinating and varied collection of artworks on display, and features a sculpture garden in its grounds. Each gallery has a specific genre, such as painting, architecture, or photography (to name a few), we both enjoyed the design gallery exhibition entitled “Objectology” which explored the appreciation of everyday objects as art. 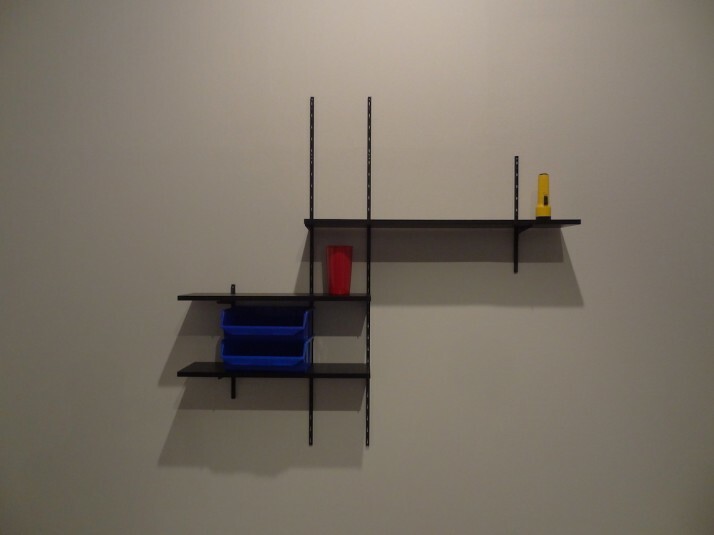 “Drum & Bass”, by Mathieu Mercier, 2011 – we loved this mass-produced object interpretation of Mondrian’s famous geometric compositions, very clever! 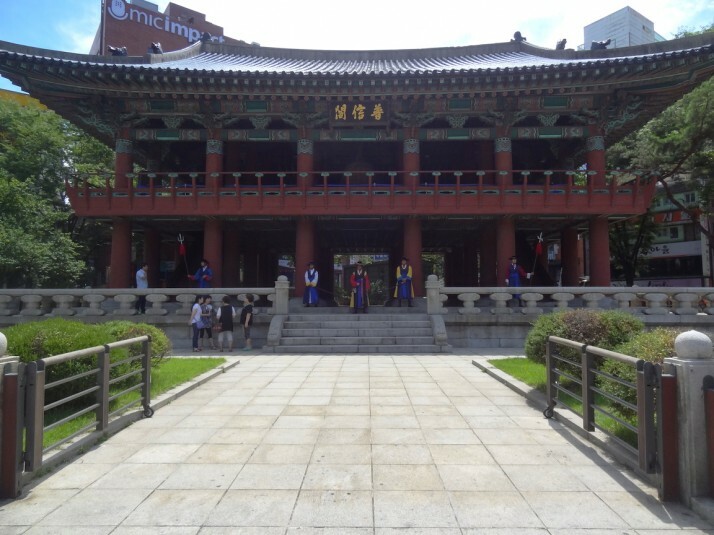 After our kimchi making class, we wandered through the centre of Seoul towards the Bosingak Bell Tower, and arrived to find a small queue near the steps and 3 guards at the entrance. As we approached the tower, the more flamboyantly dressed head guard turned to us and said “10 minutes” – we checked the time – it was 11:40. 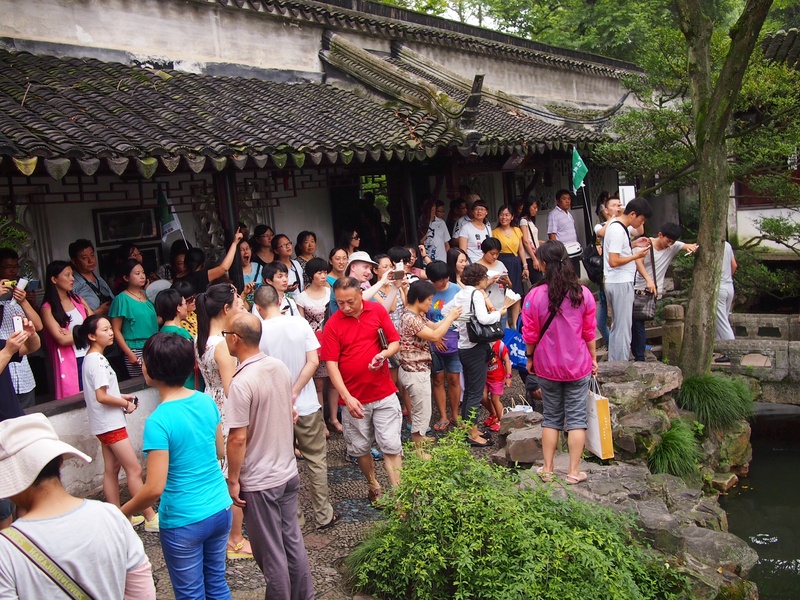 We stood in the shade of the tower and a few minutes later the guards beckoned all of us inside and up the stairs to the second level – we followed the other group, feeling like we’d sneaked our way in. 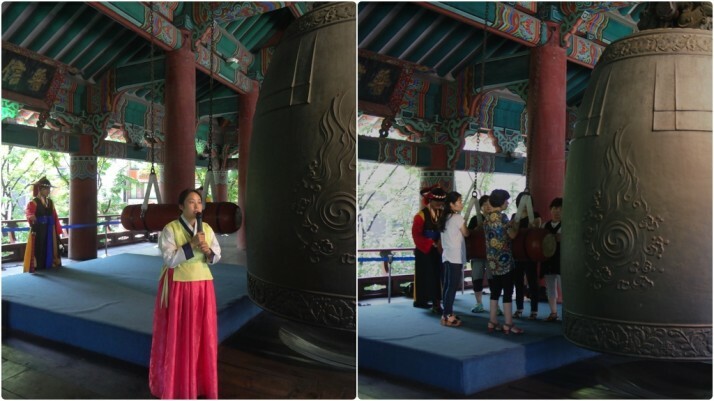 On the second floor we were treated to a bi-lingual explanation of the bell’s history before witnessing at arm’s length the mid-day bell ringing ceremony. Our timing could not have been better! 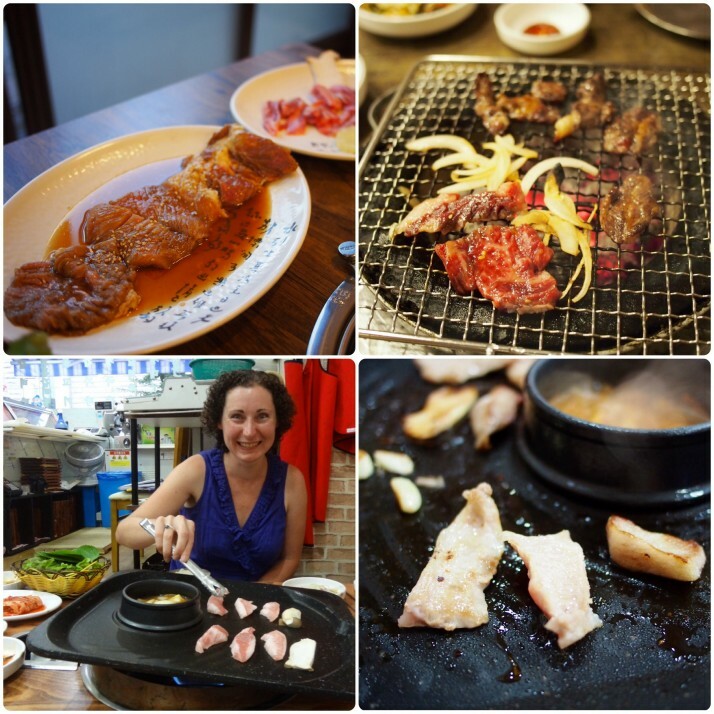 For our last day in Seoul, we’d thought about finding a street food tour like the one we really enjoyed in Hanoi, but when we looked at the menus of 12 or so Korean specialties, there were only 2 or 3 things we hadn’t yet tried, so armed with a short list and a pair of hungry bellies we headed to the Gwangjang Market – home to rows of street food stands! 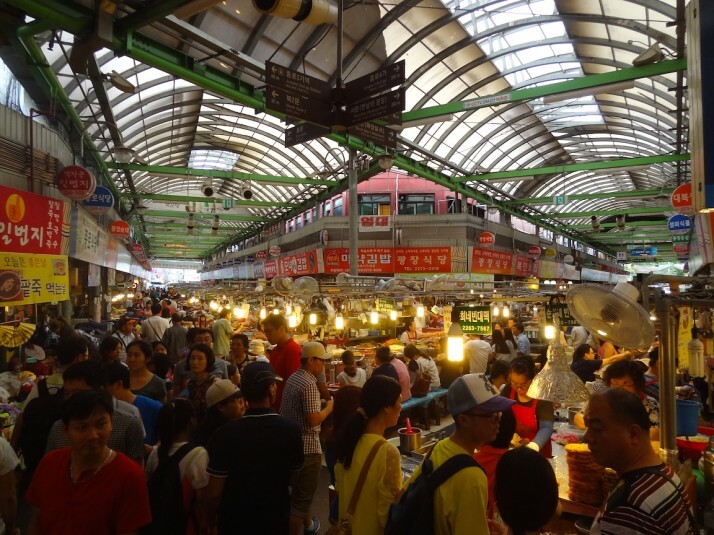 The market is mostly small, independent clothing and shoe shops, except that the main east-west and north-south thoroughfares are given over to stand after stand of interesting, mouth-watering and occasionally stomach-turning delicacies! Most of the clothes shops were closed as we visited on a Sunday, but most of the food stalls and mini restaurants were open and there was plenty of business! 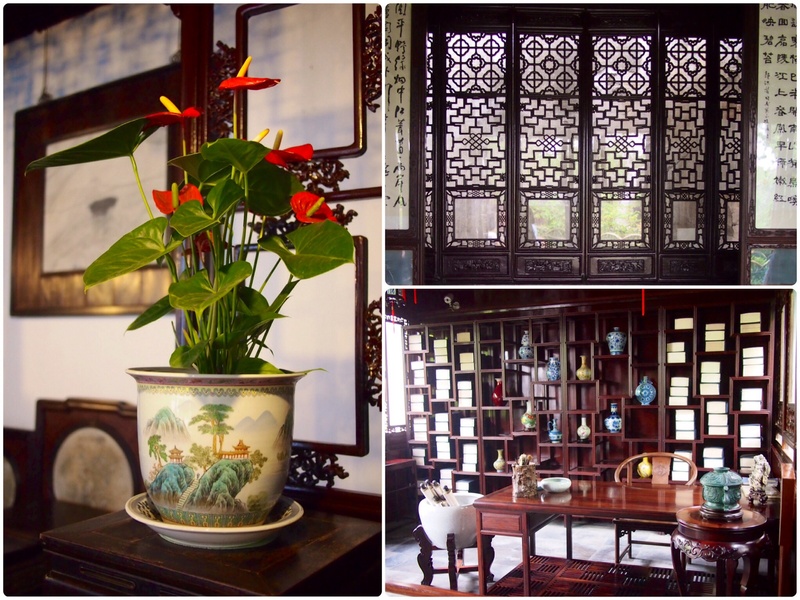 Julie spotted the shallow-fried mung bean pancakes straightaway, but we walked the length and breadth to see if we could find everything on our list. First, we sat down to a plate of kimchi dumplings..
Footnote: Not so much a sight, but something I want to remember about Seoul.. the subway screens play curated clips from Vimeo and Youtube in between public service announcements, and a series of short animations featuring two larvae caught our attention. It turns out they’re by a Korean animation studio, and I found the humour to be just my cup of tea.. here’s one of my favourites, and there’s a lot more on this Youtube channel if you like it too.. enjoy! 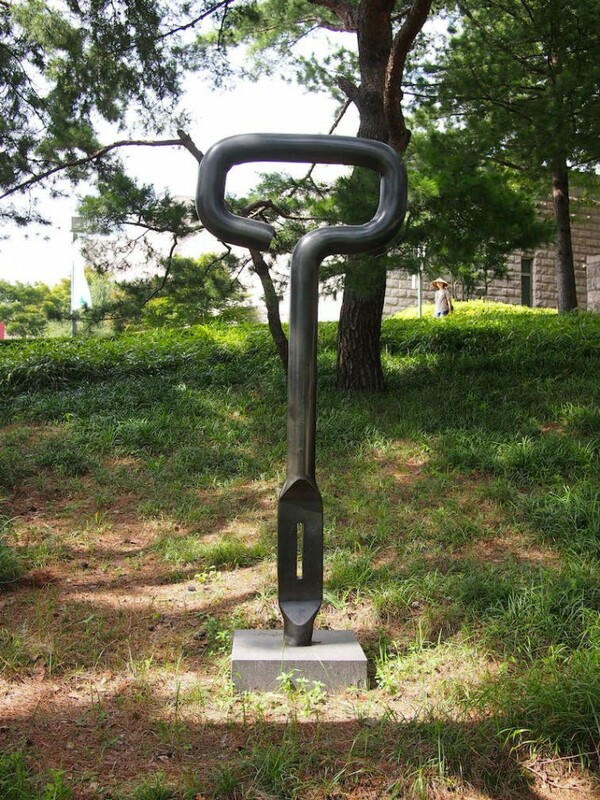 This entry was posted in Places and tagged Garden, Museum, Seoul, South Korea on August 13, 2014 by Andrew.